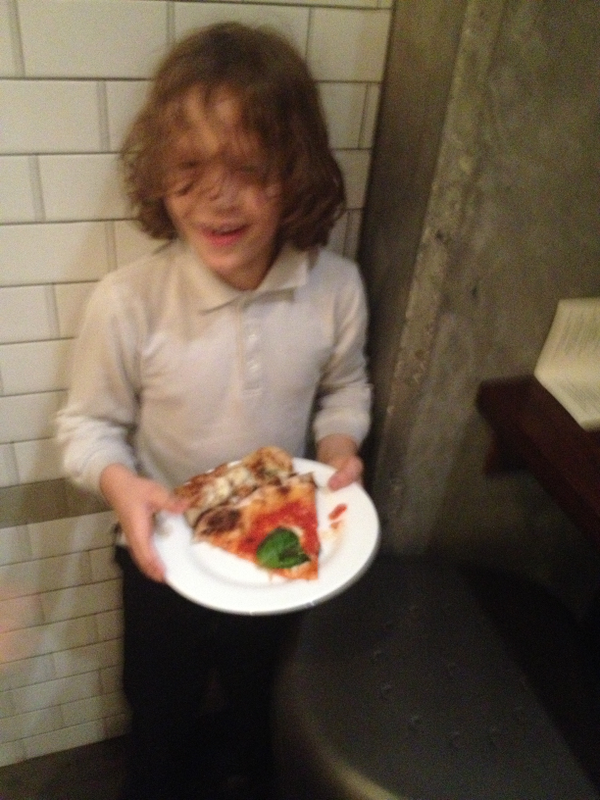 Today we went to Pizzaria Vetri. When we got here it was very crowded and you can’t make reservations. This place is fancy – (Carl wanted to make sure I added that). There’s only one size of pizza and I think its small. We ordered 4 pizzas for the 3 of us. The pizza is thin. The sauce is runny and the cheese is spotty which means it’s fresh mozzarella. The crust was chewy. The pizza oven is big and has 2 openings so they can make pizzas on one side and other food on the other side. They let us go to the back and see the whole pizza oven. Fun fact: The person who owns this place also owns the other fancy place – Osteria. I give this place 4 strs..
We went to Gennaro’s tonight. When you walk in, you will go through a curtain. If you order ice in your drink it’s smashed not cubes. It’s a small place with a lot of old things on the wall like pictures, radios and an airplane model. The cheese is fresh and looks runny but its not. The sauce and cheese ate all over each other. 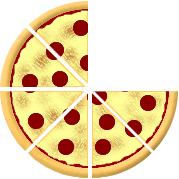 The crust is very thin and crispy. We ate it quick and we ate all of it. 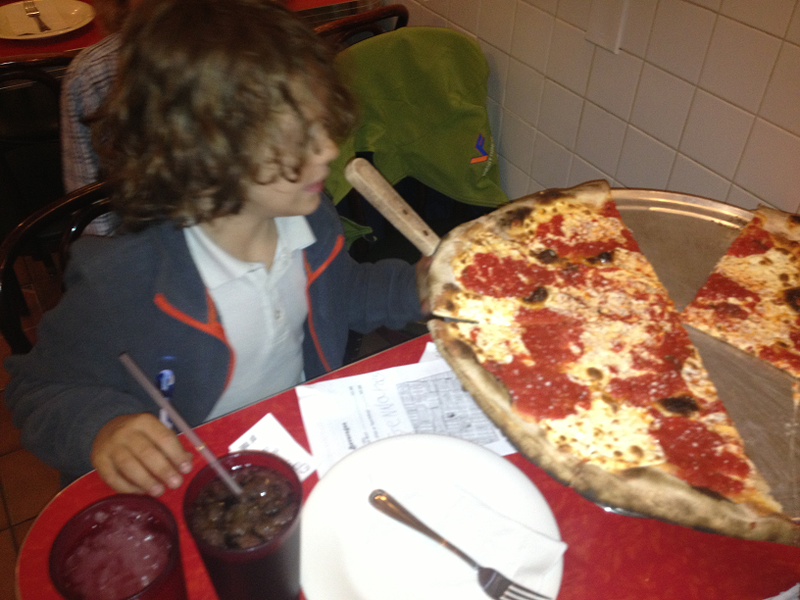 Editors note: When Jacob saw a large pizza delivered to the next table, he exclaimed: “We should have gotten a large!” Jacob, we did get a large! 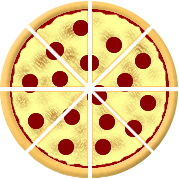 The staff is really nice here and the pizza is different and thin. 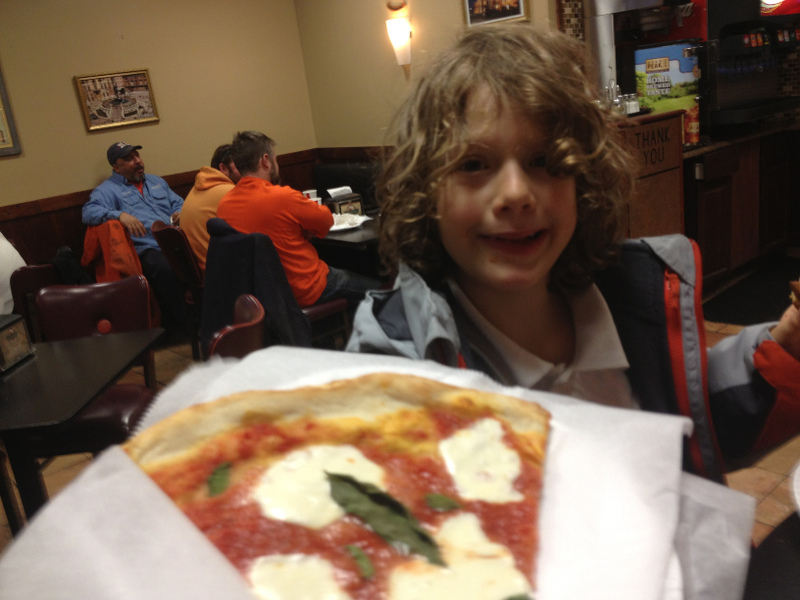 I give Gennaro’s 4 stars!